June is National Homeownership Month, and, just as in years before, this month-long recognition of homeowners celebrates those who have invested in themselves, their city, their state, and their country by buying homes all across the United States. The subject of homeownership is not a new topic of discussion, but it is increasingly being researched and explored by a broader range of people and institutions including government agencies, policy makers, academics, charities, and corporate agencies alike. The reason why everyone is so interested in discovering how homeownership impacts us as individuals and as a society is that homeownership is a part of the fabric of the American lifestyle and something that all people, no matter their background, lifestyle, or age, aspires to. As one of the pillars of the American Dream, homeownership is permanently interconnected with the American ideals of success. Because owning a home is such a fundamental aspect of our lives, it should be no surprise that homeownership impacts individuals and communities on a variety of levels. Homeowners play a pivotal role they play in our economy and local prosperity. 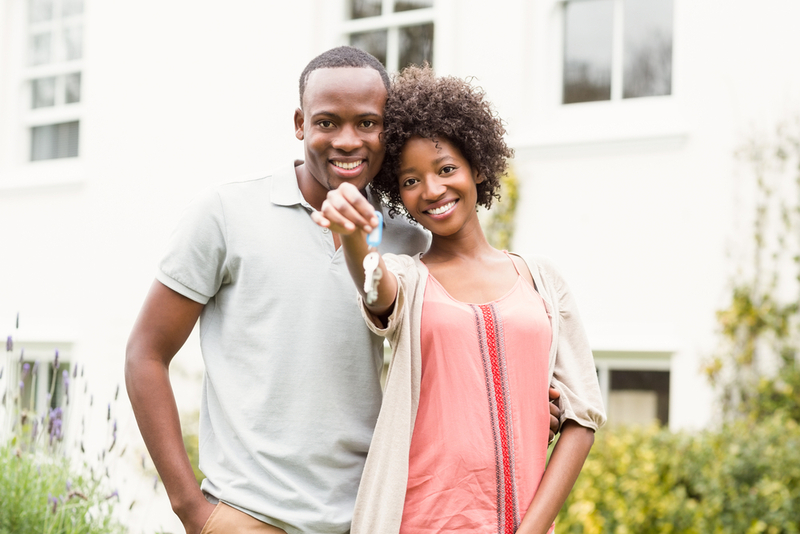 While it may initially seem like owning a home has only financial implications, research has found that being a homeowner can change a person’s life forever. Financially speaking, homeownership makes a whole lot of sense for anyone looking to build financial stability and invest in their financial future. Over time, homeownership can be the root of building personal wealth. There is still a tinge of fear when it comes to investing in real estate since the bubble burst back in 2008, but real estate is still a smart financial move that a person can make – so long as homeowners choose options that they can genuinely afford. Choosing a home in a location that has seen level rises and dips in the real estate market is a great way to lock-in an investment in a community where price appreciation is bound to be great. In turn, price appreciation builds home equity (the difference between the remaining payments on the house and the current market value), which increases every month that you make a mortgage payment, reducing the amount you owe. Furthermore, owning a home can help build strong credit. Making monthly mortgage payments on time, every time is a critical part of building credit. Creating good credit through homeownership shows lenders that you are a smart, low-risk investment, and that standing can be crucial for future loans for cars, home renovations, or other loans. At tax time, homeowners also see some of the biggest benefits including a reduction in income tax amounts, deductible mortgage interest, and deductible closing costs and property taxes. Did you know that homeowners are more likely to be more engaged with and give back to their families and communities? Research has shown that homeownership increases charitable activities and giving, and civic participation also rises with homeownership. Participation in community and neighborhood events and relationships also grows with buying a home, as homeowners are more likely to see their neighborhood as a reflection of their investment, making community improvement and preservation paramount. It would seem as though homeowners see as not only their home as an investment but their communities as a secondary, necessary investment to ensure that their home is as highly valued as it can be. This often translates into shopping locally, community activism, and community beautification efforts too. The financial benefits and social benefits of homeownership are important to build great communities, cities, and states, but there are also many personal benefits of homeownership that make the decision to buy an affordable house an incredibly smart move. Buying a home is an investment in yourself and your family. First and foremost, being a responsible homeowner means learning critical financial skills that will serve individuals throughout their lifetime, and those same skills are then transferred to the children who witness these financial skills in action. Studies have found that homeowners have a great sense of pride in ownership, which contributes to self-satisfaction in multiple ways. Homeowners are shown to have higher self-esteem, reported higher overall happiness, satisfaction in home maintenance and improvements, a strong sense of well-being, and a sense of achievement in reaching a major social goal. Owning a home gives people a personal freedom that is often missing for those who rent, as homeowners can design, improve, and change their surroundings at their will to create a space that is wholly, and uniquely, their own. From choosing pets to painting walls or knocking down walls to create optimal spaces, being a homeowner allows people to experience a whole new level of independence that reinforces their own satisfaction, leading to happier, healthier lives.